Some can find a confidant in a dog or a cat, for some it’s as easy as the .99 cent goldfish swimming in the Walmart tanks, but for some it’s just not as simple. If you are someone that looks for the unbreakable bond of a pet and its owner beyond the stereotypical walls of a pet store, then it’s time that you check out the list of pets that are entirely legal to own here in New Jersey. 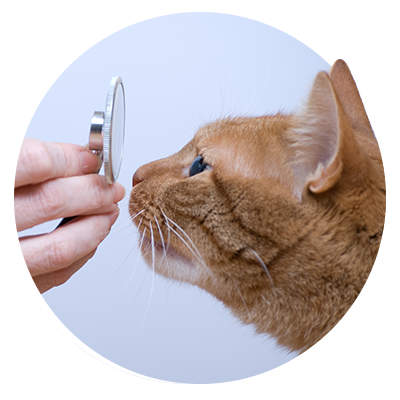 The team at All Creatures Veterinary Care love working with exotic animals, so you know we enjoyed putting this list together, check it out. You can’t judge a book by its cover, but can you judge it by its smell? Skunks are one of the exotic pets that New Jersey has legalized. You may be wondering whether or not there are actually people that would want a skunk as a pet, but you’d be surprised to hear the answer is YES! There are some states that have prohibited the ability to own a skunk, but New Jersey is one of the few states that has allowed it. Bred in captivity, de-skunked and with some good washing, these animals make for adorable pets that are just as easy to fall in love with as your typical puppy dog eyes. This is another animal that many people are surprised to hear that people would like to have as a pet, but trust us, the second that you see one you’ll be sold! These so-called pests are actually pretty adorable and cuddly when they’re bred in captivity and trained to be comfortable around humans. One of the main concerns with raccoons is the possibility of rabies, which is exactly why if it’s a raccoon that you’re hoping to add to your family, you need to be purchasing it from a breeder. This is the only way that individuals are legally allowed to have raccoons in their homes. However, there is still always the chance of a raccoon misbehaving, so this might not be the exotic pet for all families. Another pet that simply isn’t for all is going to be this extremely large snake. Given that is one of the largest and strongest breeds of snakes, it’s not uncommon for people to feel nervous when hearing the name. While it may make you shake in your boots a bit, this is actually one of the more common exotic pets that can be found from state to state. In fact, this snake poses very little threat to any individual, making it a favorite of snake lovers and exotic pet fanatics. With animals of this size you do need to take size and diet into consideration so that you can factor that into whether or not it’s something that you can realistically handle, but otherwise, it’s just your usual cuddly snake! Contradictory to its name, the Red-Fronted parrot is a primarily green bird. Medium in size, this is an animal that New Jersey requires a permit for in order to legally have in your home. While it may seem that all birds are the same, this exotic bird comes from Africa. With incredible talents like singing and voice mimicking, this is an extremely popular pet! The thing that makes these parrots so unique is that they can’t just be acquired to then be turned around as pets. As protected birds, they must be caught in an entirely humane and purposeful manner to then be turned around to a better lifestyle as a pet, which is always great to hear! These are only a few of the exotic animals that are legal in the state of New Jersey! 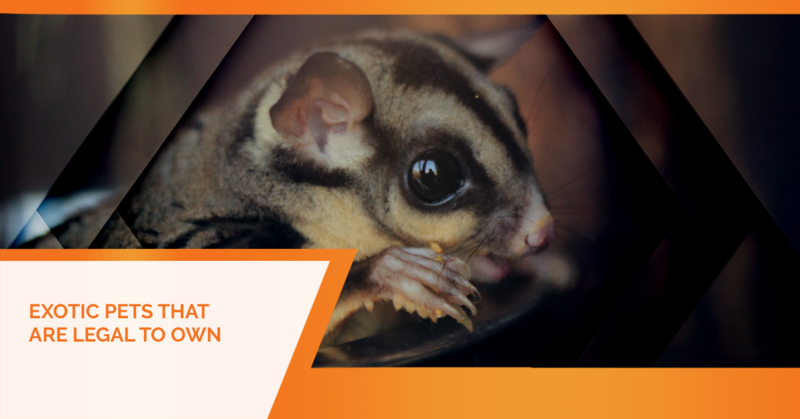 One of the things that we always note with exotic pets is that they are still subject to change and be confiscated in the case that the animal causes harm to any individual. There are a few different laws on this matter that you can find in another post on our blog. 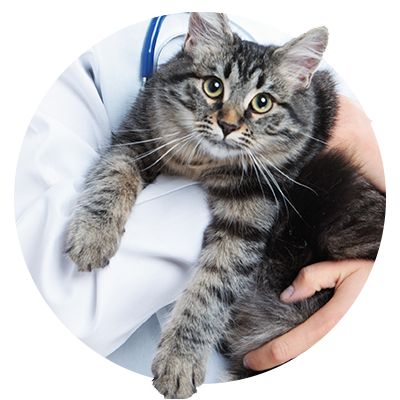 If you are the proud owner of an exotic pet, you can always found a trusting and caring team to care for them here at All Creatures Veterinary Care Center. 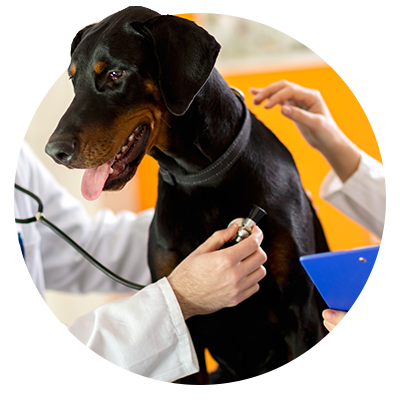 Visit us here in Sewell and we can help ensure that your pet is taken care. Check out the rest of the blog posts that we have for additional information on exotic pests and how to best care for them. 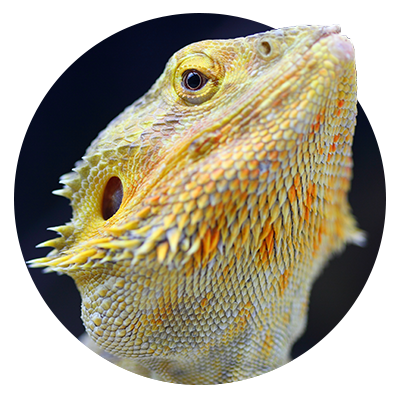 Though this blog post did dip into some pretty interesting animals that you can take into your home as pets, there are plenty of other exotic pets that we have yet to cover! If you’re still interested in the potential of a unique pet of your own, make sure to check out our next blog post where we continue the list of exotic pets that are entirely legal to own!